UPDATED: Mon., May 22, 2017, 6:12 p.m.
For Kevin St. Pierre, the math on credit cards is pretty simple. With investors skittish over the potential for higher defaults on auto and student loans, St. Pierre is one of many industry analysts and banking executives who’ve sought to allay similar concerns over rising credit-card write-offs. Card balances eclipsed $1 trillion in February, the most since the 2008 financial crisis, Federal Reserve data show. Card issuers including Capital One Financial Corp., Citigroup Inc., Synchrony Financial and Discover Financial Services all reported higher card write-offs in the first quarter. 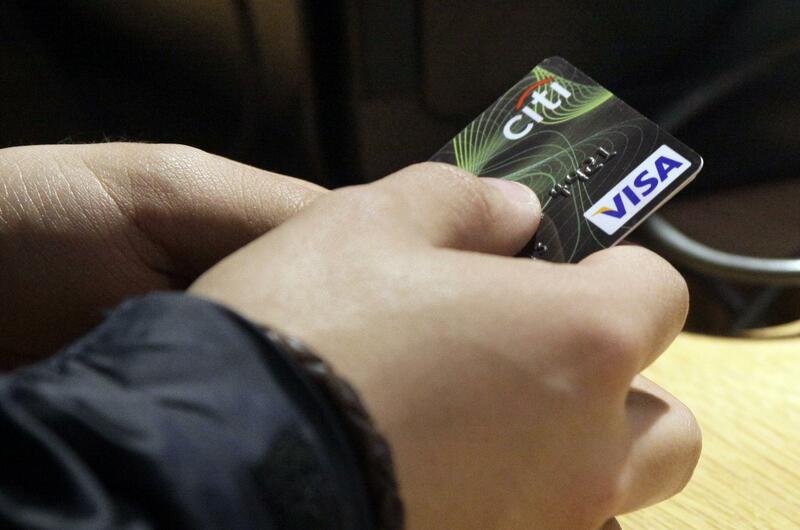 Still, executives and analysts see one data point as key to the health of the credit-card industry: jobs. U.S. unemployment is near an all-time low, and as long as it stays there, consumers should be able to handle their card debt. Six of the biggest U.S. card lenders – JPMorgan Chase, Bank of America, Citigroup, American Express, Capital One and Discover – reported that loans at least 30 days overdue, a harbinger of future write-offs, fell in April. Synchrony, signaling confidence in its own prospects, announced a dividend increase and new $1.6 billion stock repurchase program last week. Shares of the private-label card issuer have tumbled 26 percent this year, the worst performance in the S&P 500 Financials Index. Total U.S. credit-card loans have climbed every year since 2008, when the jobless rate approached 10 percent, forcing issuers to write off more than $100 billion in loans over the next two years. Recently, much of the growth has come from banks extending credit to borrowers with lower credit scores, causing write-offs to revert toward historical norms. The recent increase in defaults is reminiscent of the mid-1990s, when write-offs and loan balances rose despite a sustained decline in the unemployment rate, Harbes said. In addition to jobs numbers, analysts track the percentage of household income that consumers spend on debt. That figure dropped to 9.98 percent in 2016, the lowest since 2012, Fed data show. Published: May 22, 2017, 8:28 a.m. Updated: May 22, 2017, 6:12 p.m.